The Christian Delusion is the answer to most of those little holes left over after The God Delusion. Red Herring topics that frequently come up in debates, like the claim that Hitler was an atheist, or that Christianity is the basis of our morals (both false, by the way) are answered firmly and confidently. 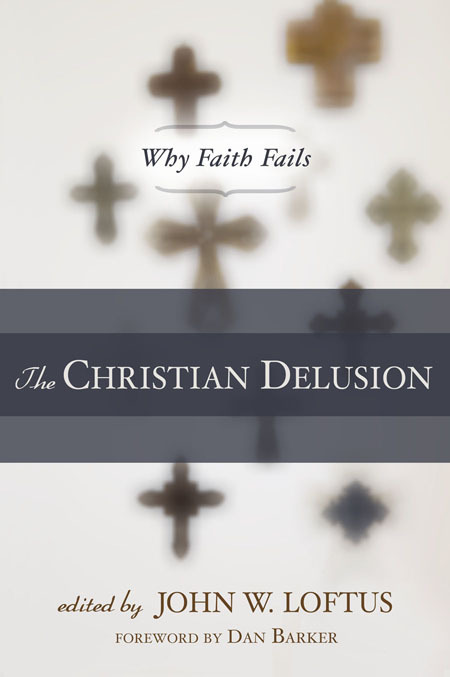 Instead of writing the whole book himself, Loftus chose to make The Christian Delusion a compilation of essays, each covering a specific subject. This was a very intelligent decision for two reasons: first, it allows for an A-list authors that would sell out any Atheist convention, including: Richard Carrier, David Eller, Robert M. Price, Hector Avalos, Edward Babinski, Paul Tobin, Valerie Tarico, Jason Long, and, of course, John Loftus (there is also a forward by FFrF’s Dan Barker). Second, the mutli-author technique allows each contributor to stay focused in their specific field of interest. The common apologist defense of questioning the qualification of any critical writer is thereby diffused. And credentials really are a moot point with this book; of the 10 authors, 6 of them have PhDs in their field and several of them are former Christians that turned to atheism after years of study. The book is divided into 5 sections, each containing 2-4 articles. Some of the writing does get a bit dry at times (they are, after all, tackling some pretty challenging subjects), but the layout of the book easily allows the reader the opportunity to take one subject at a time. 1. Why Faith Fails – This section is probably one of the most needed in the world of Atheist/Christian dialogue. Instead of just pointing out perceived flaws in religious belief, these articles seek to understand and explain religious experiences through the social sciences. The articles explain how religion mixes into (and often gets confused with) the culture around it, how cognitive experiences, like a Transcendence hallucination, can easily can get confused with a supernatural experience (often called a “born again” experience), and how the human mind itself is wired to trick us and that without an emotionally detached method of looking at the world, like science, we would all be nothing but bias machines. 2. Why the Bible is Not God’s Word – Critique of the Christian Bible occasionally takes too much of a center stage in Atheist writing. Responsible analysis of any ancient document takes a lot of patience and the discipline, not surprisingly, tends to to lose some people (either Christian or Atheist). I enjoy it, personally, but only because I genuinely find the subject matter interesting. I wouldn’t actually use Biblical Criticism to argue an Atheist standpoint. Conversations that focus on Biblical critique can get messy and lead down alley ways that would require a find their way out. Loftus, though, cleverly keeps the focus of the 3 articles in this section very focused and to the point. Instead of pointing out every possible contradiction or mistranslation, the writers stay on task and make it quite clear that the Bible could not possibly be a reliable source of knowledge about a supreme being. I believe that this section would prove very beneficial to any Christian that believes the Bible to be “revealed knowledge”. 3. Why the Christian God is Not Perfectly Good – Hector Avalos kicks off this section by refuting a past article by Paul Copan called “Is Yaheh a Moral Monster?” Hector concludes that he is. He does this by showing that Hebrew law code was not superior to that of the surrounding tribes and that biblical morals are unclear at best. John Loftus finishes it up with an article that points out how animal suffering in the world cannot be part of an omniscient god’s plan. 4. Why Jesus is Not the Risen Son of God – Robert M Price examines (and refutes) Paul Eddy and Greg Boyd’s apologetic book, The Jesus Legend, which attempts to argue for an historical Jesus. Then Richard Carrier tells us Why the Resurrection is Unbelievable with enough clarity to make anyone ashamed to have ever bought into the idea in the first place (this is the article that, IMO, would most benefit a believing Christian). John Loftus then gives a best case scenario for who a man named Jesus at the center of a 1st century religious movement could have been. Hint, the answer has more to do with social rebellion than it does saving souls. 5. Why Society Does Not Depend on Christian Faith – The topic of this section is a big one lately, when every religious zealot with a television camera pointed at them makes astounding claims that Christianity is glue that holds society together. Aside from this being a bigoted and xenophobic viewpoint to make, it’s also false. David Eller shows that not only is Christianity not a necessary basis for morality, but, no religion is. In Atheism was Not The Cause of the Holocaust, Hector Avalos shows that not only was Hitler not an atheist, but that he had expressed that he expected to be rewarded in heaven! This will be a very handy article to pass on the persistent trolls that still like to claim, despite loads of contradictory (and easily available) evidence, that Hitler was an atheist. Richard Carrier then closes the book by completely blowing apart the bogus assumption that Christianity was (somehow?!) responsible for modern science. The Christian Delusion is, all in all, a very well thought out book. It covers most of the arguments one might run up against when dealing with apologists that aren’t covered by the more broad The God Delusion. While none of the articles will be the final word (the subject of each article, after all, could very easily fill a book of their own), all the authors have meticulously sourced their articles to make any further research easy. And, let’s face it, at this point, anyone still adhering to any form of literal Christianity just isn’t paying attention. It’s official, The Spectre is now a Christian shill. I’ve recently had the immense displeasure of reading Crisis Aftermath: The Spectre and it may have ruined my interest in the supernatural comic book genre. Ok, I’m not really much of a comic reader of late. I was simply trying to re-connect with my youth and catch up on what’s been happening with some of the more interesting and mysterious characters in the DC canon. 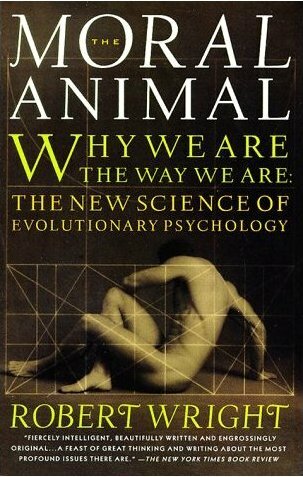 And enjoy some more light hearted reading, of course (too much science and biblical criticism can make one rather narrowly focused). Truth be told, I had not really read much of the Spectre when I was a youthful comic reader, either. But, I had always though him to be a pretty intriguing looking character, always just lurking in the background – his intention or purpose being just outside of the scope of the Justice League stories I enjoyed. I had recently read the Crisis on Infinite Earths bound edition comic, so I figured that a Crisis Aftermath title would be a pretty good follow up read. Next thing I knew, I had been suckered into buying a big hunk of Christian propaganda. The Spectre is now working for Yahweh. In his born again re-invention, Mr Specre announces to his new human counterpart that he had previously forgotten his “true nature” on Earth, but he now realizes that he is actually “God’s instrument of divine justice”. A matter of a few pages later, however, he back tracks to infinity by announcing that the decision for damnation or redemption isn’t his to make, and that he is actually just “preparing” the sinners for judgment. And, this is done by killing all the criminals they find in ironic and painful ways reminiscent of the worst of Buddhist hells. I could see myself enjoying this re-invention, if done right. I enjoy Judeo-Christian mythology (the Exorcist is one of my favorite films), I’m just not a fan of the Christian version of “justice”. I find it rather appalling and distasteful, even in fictional form. And, it could be a coincidence, but I find it odd that the one character that manages to survive more than a have dozen panels just happens to have a Jewish name. In the same Amazon order I also picked up a Dr Fate title … I’m looking at it with trepidation now. What sort of re-invention might have befallen the sorcerer? In The Incredible Shrinking Son of Man, Robert M. Price asked, is the gospel tradition reliable? The answer was an emphatic: no. But, if the traditional explanation of the Christian religion is not accurate, where did the Jesus mythos come from? Deconstructing Jesus is his attempt to answer that question. Deconstructing Jesus is not as easy a read as “Son of Man”, and understandably so. It is tackling the subject of an historical Jesus in a a much more complex way. Instead of merely discounting the Jesus story, Price is attempting to explain it. I don’t think I’m aware of any other book that tries to break down the gospel tradition in a literary sense. Other authors have analyzed the Jesus mythos in an historical context, Eisenman theorized that Jesus sprang from the Essenes while Burton Mack painted him as a wise sage. However, the goal of of those revisionist theories of early Christianity was to explain what the gospels don’t say, not what they do say. Price successfully tackles the latter. Before we talk about the book too much about Price’s theories, we should explain what Higher Criticism says about the Synoptic Gospels. The Synoptics are Mark, Luke, and Mathew (John is kept separate because of the radically different nature of that book). Because of the shorter and simpler structure of Mark, scholars generally agree that it is the earliest of the three. At some point, both Luke and Mathew (though independently of each other) rewrote Mark by combining it with an as yet undiscovered collection of sayings commonly called Q – this would be similar to collections of axioms by Confucius or Lao-Tzu, or the now discovered Jesus sayings document, the Gospel of Thomas. Once we’ve agreed upon this model, the task of explaining where the literary tradition of Christianity comes from would be to explain where Mark and Q come from. The books that follow can be easily explained as re-writes due to political, social, or theological reforms. In chapter 5, Price lays out the sayings of Q and successfully parallels each and every one with a comparable maxim from the Stoic philosophers of the age. Whether the sayings were attributed to Jesus because of the natural loss original source that’s bound to happen over time (“that sounds good, betcha Jesus said that”) or they were forcefully put into his mouth because of an early church’s need to add a moral layer to their founder, it does becomes apparent that any philosophical work that would fall into any scribe’s lap would be the thoughts of the philosophers in the age that they are living. Indeed, attributing maxims to a sage that never said them should be familiar to anyone that’s been forwarded an email of the many sayings of George Carlin that George Carlin never said. And, after all, wouldn’t we expect the son of the almighty god be able to think of something a bit more original to say than merely parroting the philosophical zeitgeist of the last 200 years? With the sayings of Jesus out of the way, what about the actions? Price postulates that they are built upon re-writes of Old Testament stories that would have been familiar to the audience of the day. Indeed, non canonical Jewish writings show that this was a common practice. The stilling of the storm, for instance, mirrors the story of Jonah. The resurrection of the son of the widow of Nain is a retelling of the story of Elisha’s raising of the Shunnamite’s son from 2 Kings. The appointment of the 12 echoes Moses’ selection of the 70. Price does refer to a myriad of other Biblical scholars throughout the book, sometimes only giving a brief overview of what each has to say. So, this is a book that will give you the the urge to buy a lot of other books. But, when it comes to early Christianity, there is so much theologically biased work to filter through I am thankful that Price gives us a head start on where to look. This book left me pretty well satisfied as to the construction of the gospel narrative. The piece of the Jesus puzzle that is missing is, of course, is the very earliest layer found in the Pauline Epistles. And, without an amazing find in the desert, we may never know much more about their mysterious origin. But, after reading Earl Doherty’s The Jesus Puzzle, it does become clear just how mythic Paul’s concept of his savior god actually was. Could there have been an historical Jesus. It is possible, of course, it’s always possible. Deconstructing Jesus, however, will make it clear that the evidence for one is not to be found in the gospel stories. The more we analyze what we know about early Christianity, the more it looks like it began as a Judaic version of the Roman Mystery Religions, which inherited their gods from the surrounding cultures. Deconstructing Jesus is a difficult read, but a worthwhile one. After reading it, I did get a strong urge to go down the the dollar store, grab a cheap Bible and a pack of colored pencils and start marking up some Biblical source material, which is a much more active use of the Bible than I’ve seen done in any church. Believe every word it says, or dismiss it all as bunk, there is no question that the Judeo-Christian Bible is one of the most controversial and perplexing books ever compiled. Conservative Christians commonly claim that all events mentioned in it are factual, yet any attempt to study the true historicity of the text is met with suspicion and cries of persecution by the True Believer. Their position is a truly unfortunate one, because critical analysis of the Bible is when it becomes truly interesting. It allows us to unravel the mystery of who the Hebrews were and what goals they were attempting to achieve when writing their scriptures. For the last hundred years, Biblical analysis has been the exclusive domain of scholars. Investigation into the stories take years to do and require a complex understanding of the Hebrew language and culture. Richard Friedman, Professor of Jewish Civilization at the University of California San Diego, ignored the sneers of his academic brethren and wrote Who Wrote the Bible for a general audience, a feet that is sadly looked down upon in scholarly circles. Accessible non-theologically based Bible study is a resource that is badly needed in today’s world. The book describes in detail the Documentary Hypothesis, which is the leading theory about the construction of the Old Testament. An early version of the Documentary Hypothesis was first proposed by Richard Simons in 1688 when he noticed the presence of “doublets”, stories that would be repeated in different areas of the Bible, often with variations of names and little else. This discovery caused him to doubt the traditional view that Moses wrote the fist five books of the Bible. His theory got him expelled from the Catholic Church and his book placed on the infamous “Index of Prohibited Books”. The theory was rediscovered and expanded upon in the 19th century when the German Biblical scholar Julius Wellhausen formulated the modern version of the theory. Who Wrote the Bible explains Wellhuasen’s theory and clearly shows that the Bible is not the work of a single mind, but rather a patchwork quilt that was edited together into a single tome in order to preserve all of a nation’s available religious documents. For ease of reference, the different source material for the Bible is usually referred to by letters. The J source originated in the southern kingdom of Judah and features an anthropomorphic God that can walk on Earth and talks face to face with Moses and Abraham. The E source is from the northern kingdom of Israel. God is referred to as El, El Shadai, or Elohim and is closely tied to nature. The D source, or the Deuteronomist, is concerned more with sociological concerns than outright theology. And the P, or Priestly source, features a God of justice, and places a lot of attention on adherence to tradition. These works were sewn together by a final editor, most likely the prophet Ezra. Friedman does disagree somewhat with Wellhausen’s accepted theory. He believes he has evidence to show that the P source was composed during the reign of King Hezekiah (715-687BC) rather than the traditional date of 400BC, after the Babylonian exile. His argument does seem to make sense to me and I believe he may be correct. The last original source, the Deuteronomist (Deuteronomy through 2 Kings), is agreed upon as being composed under King Josiah, 640-609BC. Friedman’s book itself reads very much like a mystery novel. He lets the identities of the authors unfold as he paints us a vivid picture of the theological battles that shaped the scriptures. The priests of ancient Israel: the Levites, the Priests of Shilo, Jeremiah (high priest under King Josiah): they all had agendas to push and these ideologies were more akin to political propaganda than any sort of divination. The only criticism I can give is that Friedman may be giving a bit too much credence to the early history of Israel and the Exodus. This is would be because of the year the book was written, 1987. Since then there has been extensive archaeological exploration in the region between Egypt and Israel with zero evidence to support the historicity of the event. This doesn’t damage Friedman’s hypothesis, though, but it would be great to see a revision of the book that accounts for this. Who Wrote the Bible is very smartly written, but still very accessible to a general audience. An hour reading Friedman will automatically elevate any lay person’s knowledge of the the Bible way past the knowledge of a lifetime church goer. Review also posted on the Minnesota Atheist web site. Mithraism was a mystery religion (a religion requiring an initiation rite and secrecy from non-members) popular in the Roman Empire from the first to the fourth century AD. The members met in a cave or other underground structure, known as a mithraeum, and we have found hundreds of them all over the Roman Empire (modern Italy, Spain, Germany, the United Kingdom, Greece, Algeria, Israel, and many other countries). The central focus of the mithraeums are an image Mithras killing a bull, accompanied with a dog, a snake, a scorpion, and a raven. These characters are all zodiac symbols. Is Mithras the origin of the Christ story? Jesus and Mithras do share some properties, but that’s not exactly what comparative mythology says. Comparative mythology merely points out that deities and supernatural beings before/after/during the rise of Christianity have many similar properties. Perhaps some of the concepts are basic human tendencies, like wanting to “defeat” death. Perhaps others are cultural, and many appear to be astronomical. There will be many theories, but unlike scientific theories, there is no real way to test them for validity. They can only be analyzed for probability. Christians wanting to deny any comparisons to Christianity have claimed that Mithras was not early enough to be a source. However, we have learned from Plutarch that Mithraism was widely practiced in 67BC by Cilician pirates, putting it’s probable origin before that. The virgin birth of Mithras was celebrated on December 25th, the same as many other mythological characters both before and after the origin of the Jesus story. The celebration of Christmas only goes back to the 2nd century, but it was not observed on December 25th until Pope Julius the 1st picked that date in 350 AD. And, even though Christian tradition today says that Jesus was born of a virgin, this does not appear to be an original aspect of the Jesus story. The earliest accounts of Jesus (the epistles of Paul are commonly dated to 50 AD and the first gospel, Mark, is commonly dated to 70 AD) do not mention a virgin birth at all. The addition of a virgin birth aspect to the Jesus story may be the result of an observations of religions called syncretism, which is the tendency of religions to adopt additional beliefs over time. Was the figure of Jesus of Nazareth historical? Historian and classical scholar Earl Doherty wants to know. In the book The Jesus Puzzle: Did Christianity Begin with a Mythical Christ?, Earl examines the the idea that the central figure to the Christian religion was a mythical figure, a concept more popularized by G.A. Wells. Earl bases his analysis of the theory on a twelve facts. To name a couple, 1) our secular records of Jesus and the Christian tradition are much later than most people are aware, and 2) the earliest Christian writings speak of Christ as an abstract spiritual or heavenly being similar to beliefs held by the “mystery religions” that were popular in the Roman Empire at the time. Earl emphasizes that it is important to realize that the Christian tradition we have today is a composite of two opposing views, that he labels the Jerusalem Tradition, and the Galilean Tradition. The earliest gospel, Mark, appears to be an attempt to reconcile them. Much of the book is spent analyzing these two traditions, so that we can more accurately looking at the composite that resulted from their syncretism. Doherty defines The Jerusalem Tradition as a Jewish/pagan mixture that worshiped a savior figure called Yeshua (“Yaweh Saves” in Hebrew) or the Christ (Greek for “the anointed one”). This “intermediary with God” concept was a result of the Hellenistic influence in the region and is very similar to beliefs held by other mystery religions. The Galilean Tradition was a Jewish movement that preached the coming of the “kingdom of god”. This was a revolutionary movement with no mention at all of an earthly teacher with a ministry. The central teachings of the movement were a collection sayings, similar to the type of associated with Confucius. These were preserved in the documents known as The Gospel of Thomas and Q. Once we are aware of these tradition, the combination of them into the Gospel of Mark, fleshed out with passages from Psalms and the prophets using the Hebrew tradition of midrash makes a lot of sense. Mark is literally built out of quotes from the Old Testament, including the passion sequence which is an extension of the Suffering and Vindication of the Innocent Righteous One, a framework that was used for several stories both scriptural and apocryphal. The Jesus Puzzle is a thoroughly researched book, and Earl provides ample notes, citations, and appendixes to assist anyone that wishes to dig in deeper into the Christ Myth Hypothesis. Earl also houses supplementary articles and answers to criticism on jesuspuzzle.humanists.net. As well researched as it is, it is not the easiest book to read, and it quotes the Bible and other ancient texts quite heavily. So it may be more than a bit daunting to readers than are not familiar with the subject matter. It’s not really necessary to accept the Christ Myth as Doherty defines it in order to find insight in this book. What is does is show rather conclusively that the Jesus story is just that: a story. It grew over time as any legend would, and when any Christ Head points to the gospel stories as “proof” of their beliefs, what they are pointing to the end product of a syncretism of Jewish a pagan beliefs, not an eye witness account. Could there be a grain of truth to the gospels? Sure. But, it would be so buried in a bed of myth and legend that it would be impossible to uncover it. We have become so accustomed to hearing theories of the “historical Jesus”, that a mythical Christ concept may seem shocking at first, even to atheists. But, for my money, I’ll accept the myth theory over the “the creator of the universe appeared in a remote area of the middle east to reveal himself to a handful of people, but didn’t get the message across very well so he had to re-appear in a vision to another guy so that he could write letters to all the churches that went off course within minutes of converting and then let the the salvation of the rest of the world lay in that hands of missionaries and military conquest of foreign lands” theory. Every culture in the world has mythology. There is absolutely no reason to suspect that the middle east is any different.